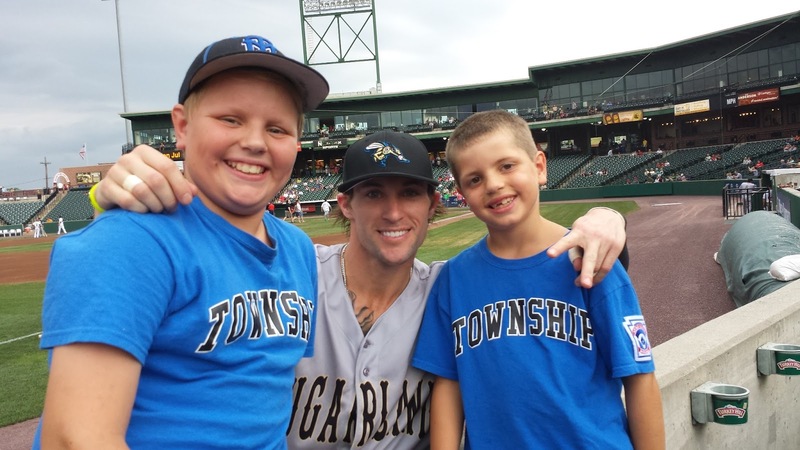 Monday night we went to the Barnstormers game to see the Sugar Land Skeeters. It was the first game we made it to in a while since Gavin and I were playing so much. We like watching the Skeeters especially since our friend Adam is playing there. We had some cards to get signed as well as some of the game programs that the Skeeters sent us. 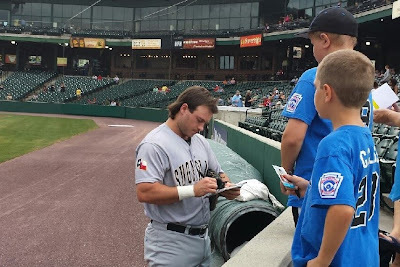 The Barnstormers lost the game 8-7 but it was good to be back at the park.